Kathleen J. Kennedy, 69, of Williamsport, was reported in critical condition with injuries she suffered when she was struck by a car driven by Paulette M. Weidler, of Williamsport, on East Third Street, just west of Tinsman Avenue, about 3 p.m. Saturday, state police said Wednesday. 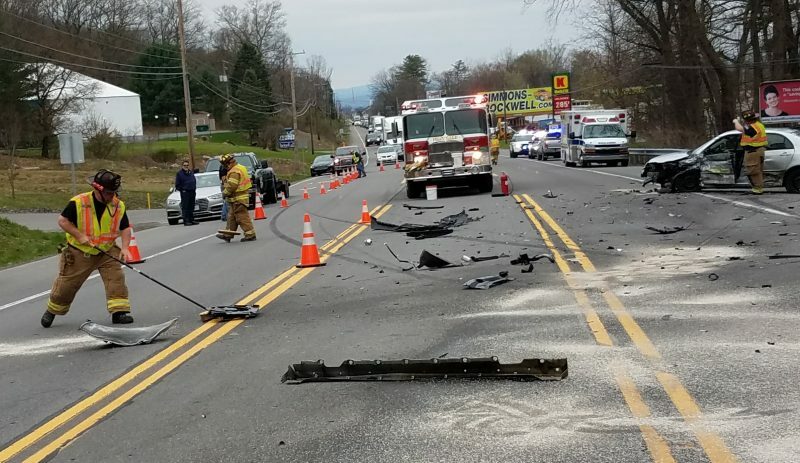 In another accident, Sharon Welshans, of Jersey Shore, was treated at the Williamsport Regional Medical Center for injuries she suffered in a two-vehicle crash in the 500 block of West Southern Avenue in South Williamsport about 1:15 p.m. Tuesday, borough police said. She was a passenger in a car driven by her son, Jeffrey Spong, also of Jersey Shore, when it and a vehicle driven by Jason Rhinehart, of South Williamsport, collided, police said.